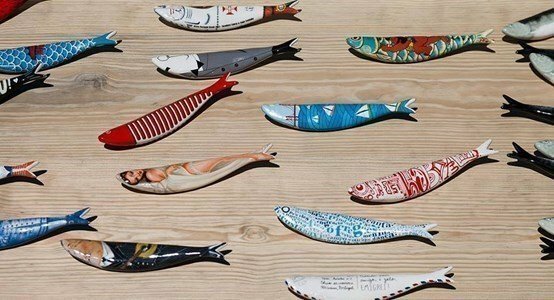 Tóni is a Sardine given to gallantry, born as a tribute to Lisbon hustler “fura-vidas”. Charming, bold, vulgar and with “blood in the gills”, Tóni makes a living doing odd jobs. With a excellency design, it is perfect to embellish any place!